For the longest time, I was never much of a highlighter lover. I liked buying them and keeping them on my desk because let’s be honest — highlighters laying around just oozes a “productive” vibe. But I rarely uncapped my highlighters to, you know, hightlight things. Then, after hearing about these supposedly incredible Zebra Mildliners, I decided to grab myself a set. And just like that, my opinion of the humble highlighter changed radically. Let me dig into what caused that change in this Zebra Mildliner review. I bought my set of Zebra Mildliners a little over a year ago, and since then they have become a staple in my bullet journal toolkit. I use them regularly for standard bullet journal spreads, Lists of 100, meeting notes, and much more. While I haven’t found Zebra Mildliners in a store yet, that doesn’t mean they can’t be found there! I tend to avoid walking the aisles of office supplies store because I’m always in danger of buying all the pens I can hold. 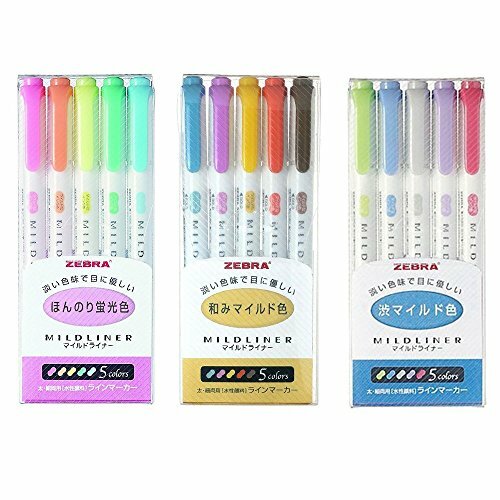 It appears as though typical office supply box stores have Zebra Mildliners listed online, you can’t be sure a store will have these highlighters until you look for yourself. Personally, I buy my Zebra Mildliners straight from Amazon — I always know they’ll be there and I’m a Prime member to boot, so there’s no downside! Okay, so it’s clear that I’m a fan of the Zebra Mildliner. Here’s all the reasons why these highlighters rock! All the highlighters I’ve ever used before the Zebra Mildliners were screaming neon colors that were always a bit of an eyesore to me. I just don’t jive with those bright, vivid colors. What made me fall in love with the Mildliners is their range of soft colors. These highlighters still do their job of making certain words or headers pop, but they do it in an aesthetically pleasing way. You can buy just a single set of five highlighters, but you can also grab three different sets all together, totaling fifteen highlighters. When you get these three together, you get a huge range of colors that are all simply gorgeous. There are earth-toned and jewel-toned highlighters, along with more pastel options. 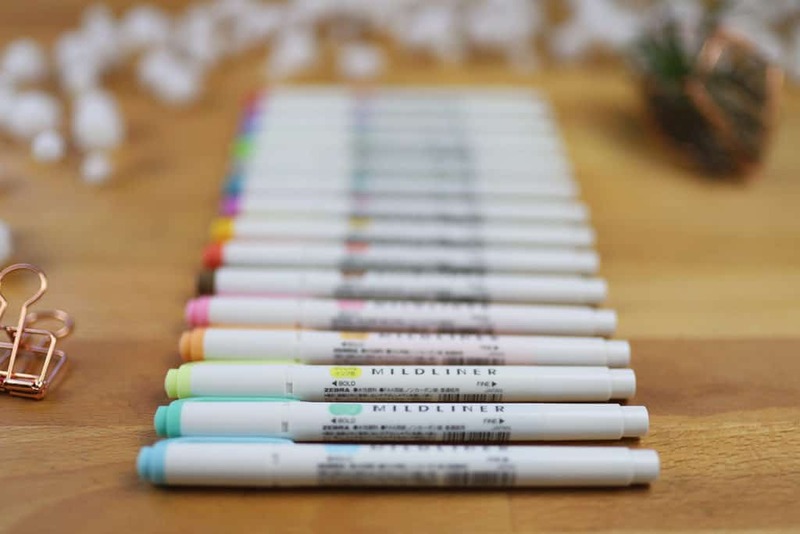 If you do prefer having some more traditionally colored highlighters, then you’ll be happy to know that there are some more neon Mildliners as well — though I find they aren’t as harshly colored as other brands. The Zebra Mildliners have two tips, which is a huge plus. On one end, there is the standard chisel tip that you need for highlighting text and such. On the opposite end, you will find a bullet tip that is perfect for writing, drawing mind maps, and any other fine line needs. The versatility in writing options is spectacular, especially if you are a student who takes lots of notes! 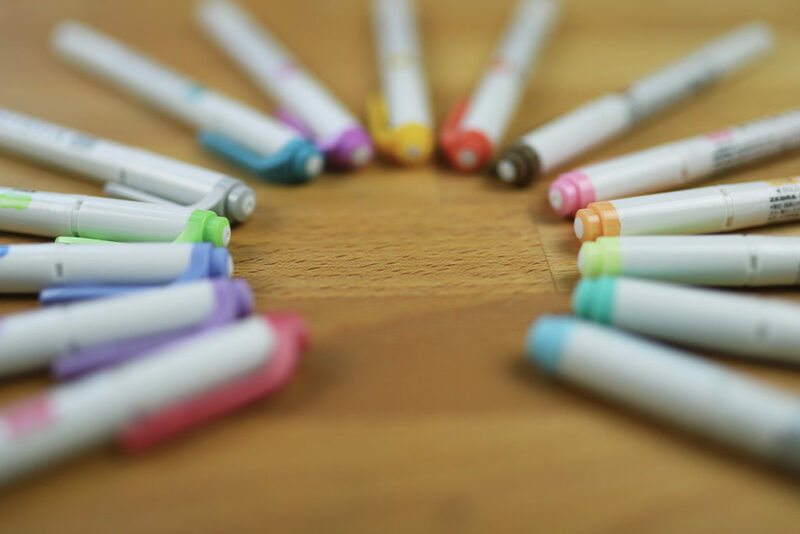 These highlighters are the size of any normal pen, which makes it super easy to toss in your pencil bag or backpack and take with you on the go. They also fit nicely in the hand, which is pretty excellent for someone with small hands like me. The Zebra Mildliners don’t come in a blister pack that you rip into and then immediately toss. Instead, the packaging is a sturdy and textured plastic pocket that you can keep your highlighters in all the time. The top flap folds down and tucks nicely into the main body of the pocket, keeping your Mildliners nice and secure. In all the time I have used these highlighters, I have never had any issue with ghosting or bleeding. The ink of the Mildliners seems to play nicely with paper — although I will admit that the majority of my Mildliner use has been in a Leuchtturm1917. On top of all of that, I have never had a highlighter get dry or streaky. After a year of use, all are still going strong! 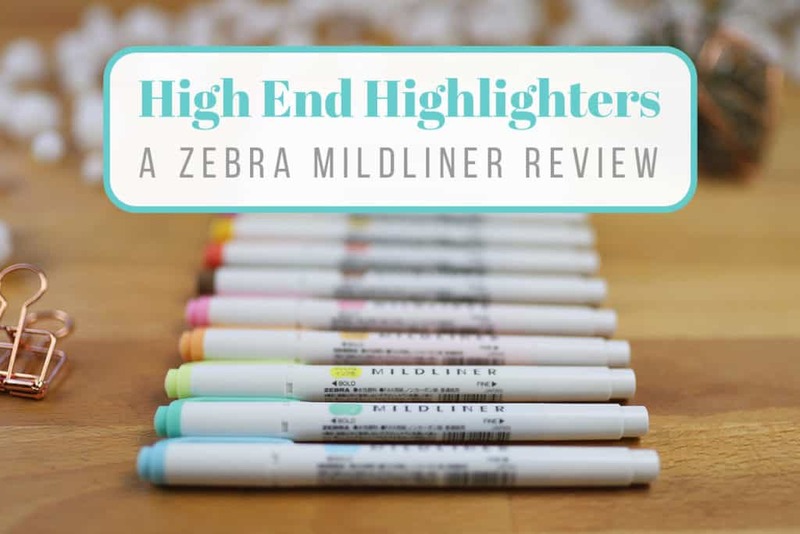 While the Zebra Mildliners are not the cheapest highlighters you can get your hands on, they are still extremely affordable. You will definitely get a bang for your buck with this set of highlighters! Honestly, I had to really dig deep to figure out anything that could possibly be wrong with these highlighters. They have great colors, variety, versatility, and a fantastic price tag. So know that while the Zebra Mildliners are certainly not perfect, they are pretty damn close. My only complaint of the Zebra Mildliners is minor, but it’s worth mentioning — the size of the chisel tip is not very large. There are times that I have to go over a line of text twice to fully cover everything in color because the chisel tip isn’t quite large enough to get it all in one swipe. It’s not ideal because any overlap in marks results in a darker shade of the color, but it’s by no means a dealbreaker. Highlighters aren’t for everyone. You just might not be someone who takes notes all that often, or you aren’t interested in adding dabs of color to your bullet journal headers. However, if you were to ever change your mind and get into the highlighter game, then it will be because of the Zebra Mildliners. They are truly the perfect highlighter for me, and I can’t sing high enough praises. 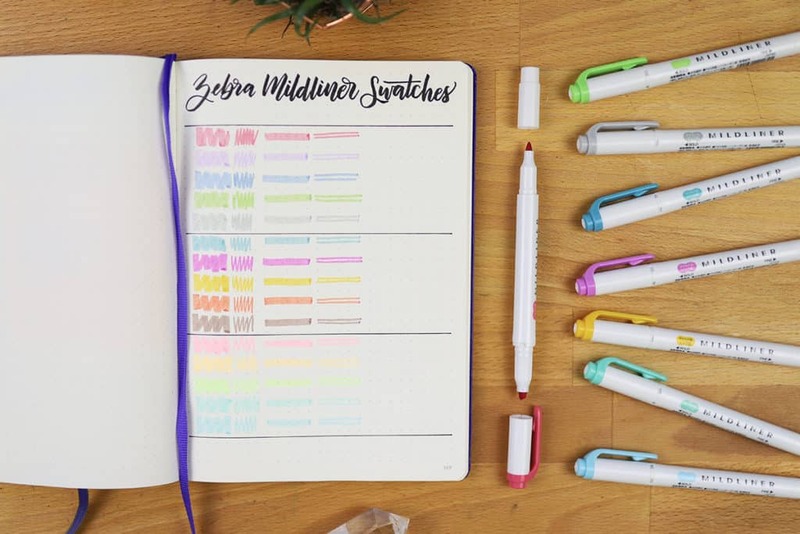 If you’re a habitual note-taker, a studious student, or an avid bullet journaler with a hunger for more pen variety, then I suggest you give the Zebra Mildliners a try and see for yourself how enjoyable they are. I hope you have found this Zebra Mildliner review helpful as you search for your dream journal! Let me know in the comments section what product you want me to review next, and head to the My Supplies page to see some of my other favorite materials! Isn’t it great they carry them Michelle?! What a nice surprise, right Karyn!! That’s a great point Karen and one I like too! Have you tried the stabilo pastel highlighters? The colours are gorgeous, they’re slightly more affordable and easier to find in a high street store. They also have a wider nib if that was something that you wanted. I haven’t had the chance to use them yet, but I’ll be sure to check them out when I get the chance! Thanks for the recommendation, Georgia! I like them but they do bleed in my old bible. They work fine in the planner though. This is true Hilary, they do tend to bleed through really thin pages just like any highlighter would. Thanks for the great review. I like the neon colors of highlighters. But I do see where these could still be a great addition to my arsenal. The neon colors are really fun aren’t they BrendaLea! I love these too and I also found mine at Target. The softer colors are what appealed to me. They don’t SCREAM like some others do. Thumbs up from me too! I love the pastel options too, Cheri! Will these bleed-through the thin pages of a Bible? They bleed as much as regular highlighters do Jeanette. Yes! I love that you can just run into your local target and pick up a pack. I just bought these at Target last night. They are so pretty. Aren’t they, Wendy?! I love that the shades and colors are different than a lot of the other sets of different pens that I have. I completely agree with all of the pros & cons. I am obsessed with my Zebra Mildliners as well. I use them daily, especially to fill in the squares of my daily habit trackers. So. Darn. Satisfying. Seriously, though – SO satisfying Lauri! Oh good to know another “local” store carries them too. Thanks Thalia! I mean who can really resist, right Kirk? !